 1.When and where is Bowl for Kids’ Sake 2019? Bowl for Kid's Sake will take place on Wednesday, April 24 with shifts from 3-5pm or 6-8pm at Woodland Bowl. 2.How do I register for Bowl for Kids' Sake online? Go to the Register as a Bowler button and complete the form. You will be guided through the registration process. Once your transaction is complete, you will receive a confirmation email receipt with a link to your fundraising webpage. 1) Recruit 3 more people to join your team. 2) Sign up for a bowling session that works for you and your team. 4) Have Fun! Join us at Woodland Bowl on Wednesday, April 24 to celebrate your team’s success! Remember, it’s not about how good a bowler you are; it’s about celebrating the impact the money your team collected will have on your community! 5) Say THANK YOU! Don’t forget to say thank you to the people who donated to you! Call, text or e-mail them after the event to let them know how much money your team raised. Their support is helping serve 1300 kids in Central Indiana! Do I need to personalize my page? Yes! It only takes a few minutes to add a picture and a few words. How do I register for Bowl for Kids' Sake online? Letters, phone calls, emails and texts are always a good way to start asking people for donations. Get creative! Need more help? Email Cassidy Shah at cshah@bbbsci.org to help you brainstorm more ideas! Sign in to your personal page (HQ) to view sponsors and teammates. Sure! Contact Laura Haltom at lhaltom@bbbsci.org or 317-472-3732 and we will get the amount credited to your team. We depend on the money raised from Bowl for Kids' Sake to carry out the work of carefully matching children with caring adult mentors and providing ongoing support to the child, volunteer mentor and child's family. Check out the About Us section for more information on how Big Brothers Big Sisters works. Sign in to your HQ. You can then view your donor list and the amounts that have been donated. This website address will take you to your personal donation page. This address link is automatically included in any emails that are sent through the email center in event headquarters after you have logged into the website. You can also copy and paste this link into any email or social media page.